Delquan’s chronic pain not only affected his ability to work and sleep – it was also impacting his relationship with his family. The 42-year-old had tried of a variety of treatments to relieve the unrelenting pain in his upper left arm, including cervical spine surgery, but none were successful. Then Dr. Raymond Tatevossian recommended an HF10 trial, which led to a permanent implant in July of 2017. 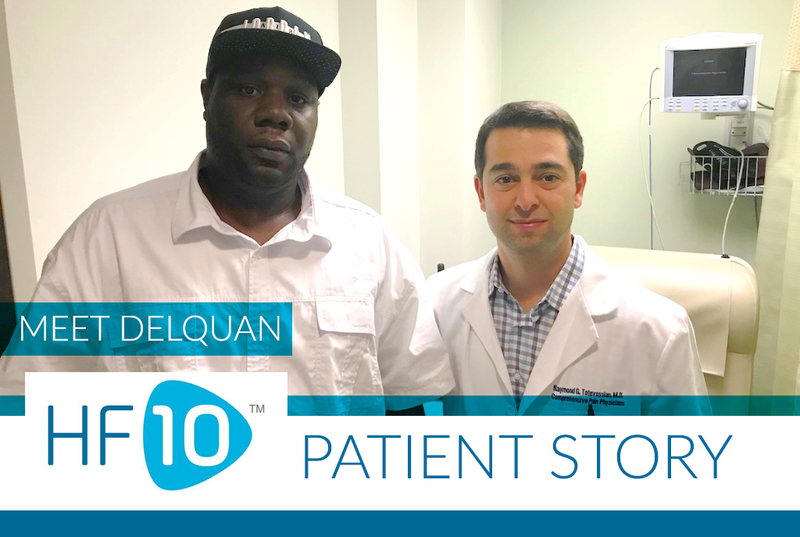 Delquan reports 90% less pain, and that not only has his overall quality of life improved but he’s now regained hope for a productive life and good times with his family. Results may vary. Read important safety & risk information here.